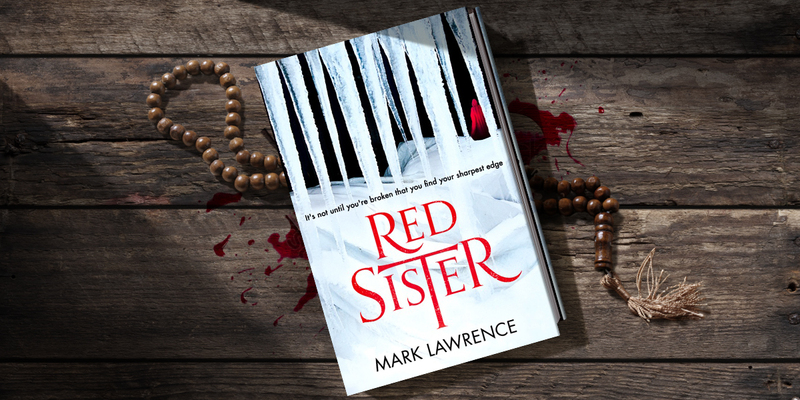 To celebrate the UK publication of Red Sister use one of the below images (courtesy of HarperVoyager) as your Facebook and/or Twitter banner for a chance to win a DOODLED (and dedicated, signed, rubbed on Wobble’s belly for good luck, etc, as requested) hardcover of RED SISTER! * Put your banner up whenever you like but you can only win if it’s up when we check on April 6th. You will also need to comment at any time between now and then with your Facebook /Twitter address on this post (and any celebratory message – optional). The Winner will be randomly selected from the entries on the following day by Mark! *You can also opt for the US version if that’s your preference. Done on Twitter! (@DWalters29) https://twitter.com/DWalters29. 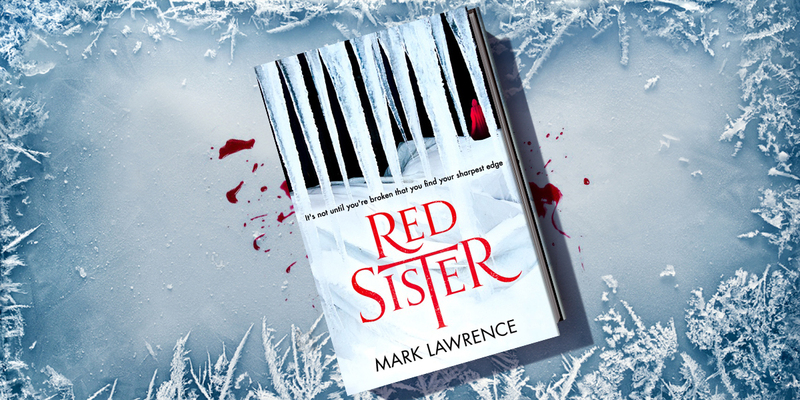 Red Sister is as high as it can be on my TBR list and I cannot wait until April 4th! 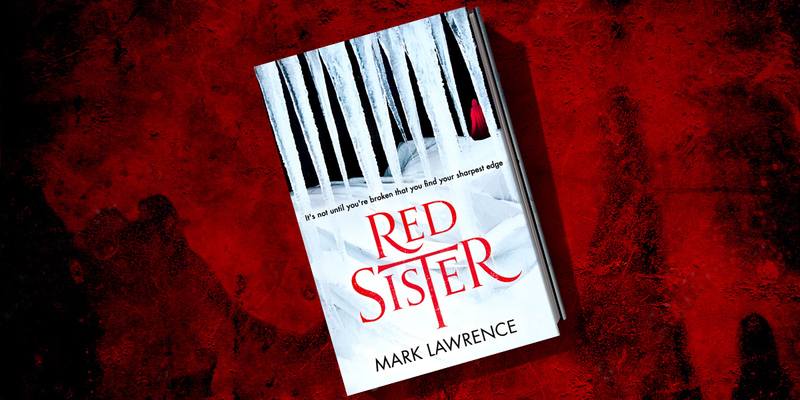 So excited for Red Sister! Nona sounds like a fascinating character. Best fantasy series ever. Mark Laurence’s style or writing and word play is unique. Done on Twitter 🙂 as for a celebratory message, whatever your favourite quote is! On my Facebook AND Twitter page! Yes, I am determined to read this as soon as humanly possible! Twitter: https://twitter.com/balrogboogie . Can’t wait! 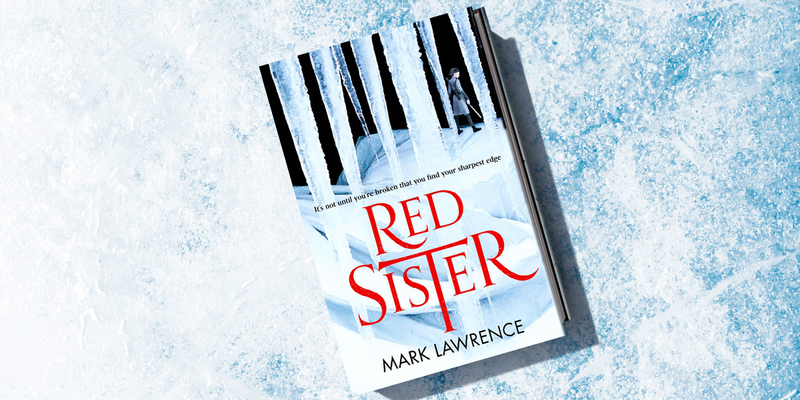 Red Sister for a red day 4/4/17 and a red victory! This better be worth it for the ball ache of creating this account Dr Lawrence! That is a pretty cool idea to get the cover spread around! Happy to join as I was lucky enough to get an arc and it is already one of my favorite fantasy books. Did you know that giraffes get struck by lightning more often than other animals? I’m guessing it’s because their coloring angers the lightning gods. You should pick me because I’m smarts, and I super love your bookz. This is great PR Mark! So many people will recognize your cover in the wild and not even know we have all been subliminally programmed. 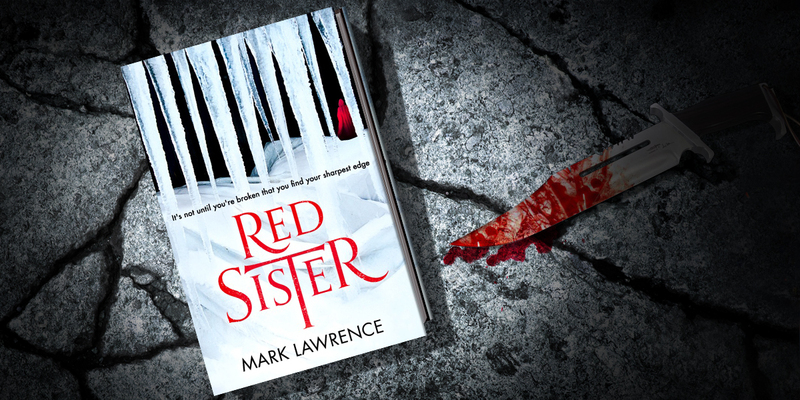 Changed my Twitter banner to Red Sister! Woot! WTF! That was just supposed to be a link to Lynn’s Twitter account. Sorry :(. My twitter feed is @Lynniesue61 to see the banner. Oh yes, I will absolutely bite. I can’t wait to read it! Shared on FB!!! Can’t wait to find the sharpest edge !!! I preordered a signed US version but I’m not to proud to beg for a doodled, UK copy. Especially so to have it blessed by Sir Wobbles! Done on twitter! Congrats on the next exciting series. A birthday (in May) message would be amazing! It’s gonna be a rad day. Either way I’m reading. @coloursofunison – I tried to do this on a horrible Windows machine. It didn’t work (or I didn’t – you can think what you will). All hail my mighty Mac! !